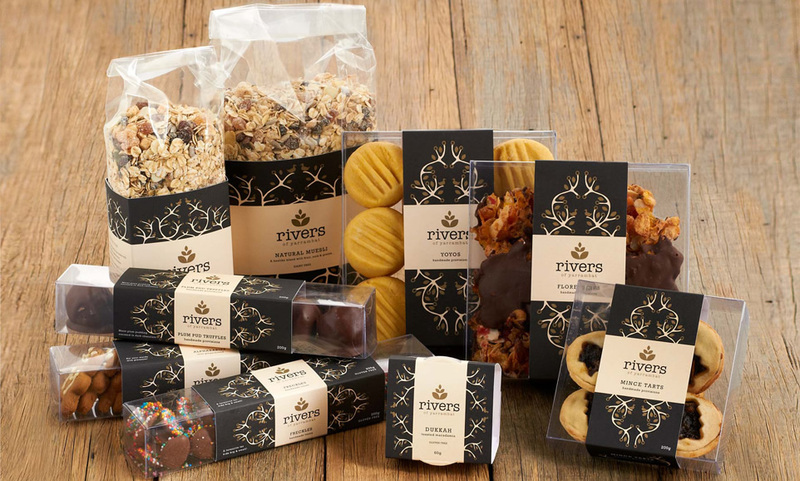 Rivers of Yarrambat is a cafe in regional Victoria that sell a range of homemade biscuits, muesli's and chocolates. 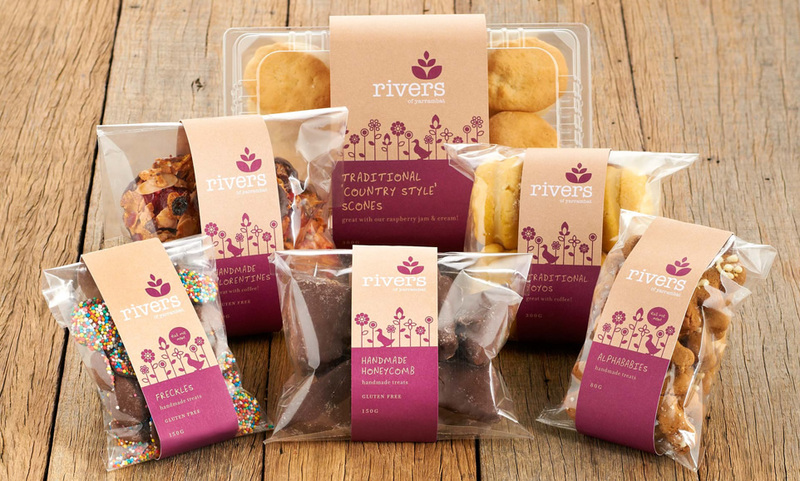 Two ranges were created, one for sale at the cafe and another to sell at other retailers. The first design option is more refined and crafted whereas the second design is based purely on their existing brand.